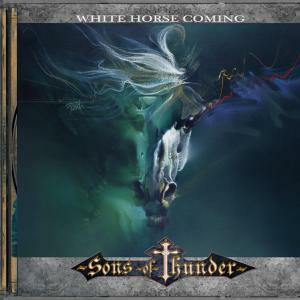 Sons of Thunder's White Horse Coming CD is an eclectic mix of classic rock and modern metal. Their songs bring a clear, concise message of Christ. Below are downloads for airplay. Contact us at jlycan626@frontier.com for downloads of other songs. For our fans, we ask that you drop us an email and join our mailing list when you download any of our music. Please check back from time to time as we will soon have additional free downloads of new songs. They will be "basement mixes", but we appreciate any comments or feedback you can give us. Blessings! Come On Home revisits the long lost energy and excitement from the southern rock era. All songs on the White Horse Coming album were recorded at River Track Recording Studio, Fort Gay, WV. Mixing and mastering was done by Mark Drury at Square One Studio, Franklin, TN. 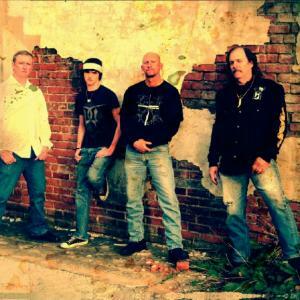 Sons of Thunder is a Christian rock ministry band that pulls no punches with their willingness to serve and spread the message of Jesus Christ with a message of love and urgent concern designed to go against the "Status Quo". Copyright 2017 -Sons of Thunder. All rights reserved.